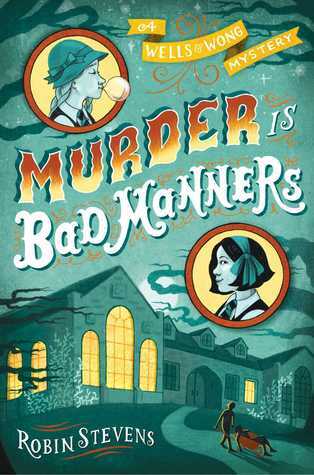 When I first started reading Murder is Bad Manners wondered why the book was being narrated by the character of Hazel Wong, the 'sidekick' so to speak. But as I got into the book I quickly realized that Hazel is the Watson to Daisy's Holmes. Hazel is the one with a caring heart, who looks beyond the logical, while Daisy is very much the logically-based intensively focused lead. But as the two girls investigate the death and disappearance of one of their boarding school teachers, things get tense between the two. Daisy is so focused on her own theories and beliefs that she dismisses Hazel's theories rather briskly, which I found irritating, as does Hazel. But despite their differences, the girls manage to salvage their relationship and solve the mystery. I loved the way the girls methodically investigate the mystery. They start by considering suspects and motives and alibis. But when one of their top suspects dies unexpectedly, the girls realize there is more to this case then they ever thought. I thoroughly enjoyed this historical mystery and ready to dive into the next case. 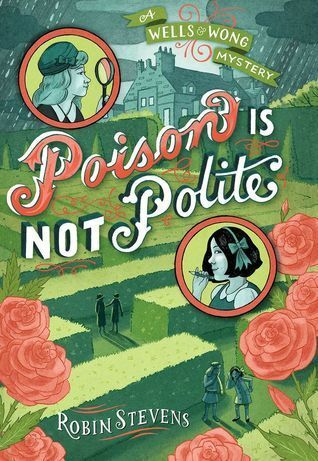 This fun follow-up to Murder is Bad Manners sets Daisy and Hazel up in a rather awkward situation. Hazel has come to Daisy's home for vacation, but neither of them expects to have a murder to investigate. But the horrid Mr. Curtis offended pretty much everyone as the personal guest of Lady Hastings. But Daisy can't resist a mystery right under her nose, despite the challenge of suspecting her own family members. As the girls, including their visiting friends, Kitty and Beanie, gather evidence as well as eavesdropping on the strange goings-on, it becomes evident there is more going on than there appears. It's fun to follow along with Hazel as she struggles with her own theories while trying to maintain her friendship with Daisy. Daisy is brilliant after all, but like Sherlock Holmes, lacks the finer social sensitivities. And Hazel struggles to balance her desire for comfort and good food with her curiosity and desire to find the answers. And the addition of Kitty and Beanie complicates things. Add in a mysterious governess, a frustrating Uncle, and an annoying brother and his best friend and the girls are bound to have an unforgettable holiday visit. The question is whether the girls can find the answers with obstacles thrown in their way left and right, before someone else gets hurt. I'll admit the end did surprise me, which is a surprise in and of itself, since I've read so many middle grade mysteries that it's not usually difficult to predict where things are going to go. So the ending was an interesting surprise, although not a happy one, the guilty party was someone that both Hazel and I liked. 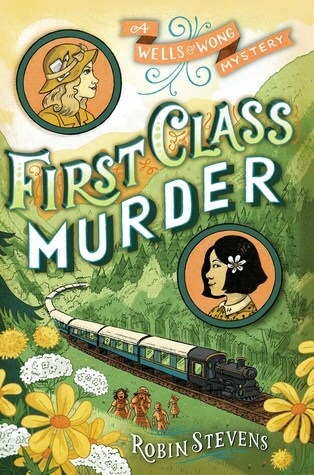 Hazel Wong and Daisy Wells are taking a vacation across Europe on world-famous passenger train, the Orient Express—and it’s clear that each of their fellow first-class travelers has something to hide. Even more intriguing: There’s rumor of a spy in their midst. Then, during dinner, a bloodcurdling scream comes from inside one of the cabins. When the door is broken down, a passenger is found murdered—her stunning ruby necklace gone. But the killer has vanished, as if into thin air. The Wells & Wong Detective Society is ready to crack the case—but this time, they’ve got competition. This third book in the Wells & Wong mystery series is just as good as the previous two, if not better. As the author herself admits in the author notes, it's a homage to a classic mystery by Agatha Christie called Murder on the Orient Express. Not only is the mystery a great one but the tension between the different characters shines through clearly with Daisy and Hazel having to work around not only Hazel's father (who's forbidden them from doing any detecting), but an undercover police officer as well. And then the tension between all the other characters shines through from the very beginning when two characters start screaming at each other. Add in a former Russian aristocrat, a magician, and a medium and you have a recipe for disaster. But what is a disaster for others is a thrill for Daisy and Hazel and they sneakily set to work trying to figure out who committed the murder while searching for a spy as well. A thoroughly enjoyable read from my point of view, even though I had some of the mystery figured out before the girls did there were a couple of things I missed which added an element of surprise to the ending. A great mystery series combining great sleuthing and a fantastic historical setting into overall enjoyable read. Do like this series, but I was also a Dorothy Sayers fan. I can talk children into checking it out because there are murders! My daughter LOVES mysteries. I'll have to get this series in her hands for summer entertainment. Thanks for the helpful review and heads up!